Successfully Added Electronic Cigarette with eGo-V System to your Shopping Cart. E-cigarette with the new eGO-V system facilitating the delivery of the liquid nicotine to the atomizer, providing a richer vapor and grater taste. This elegant eGO-V system electronic cigarette offers you not only a way to help you quit smoking but also is a healthier alternative to regular cigarette smoking where you get the Nicotine buzz without the hazardous tar found in normal cigarettes. It also protects people around you from the danger of second hand smoke as all this eGO-V cigarette releases is water vapor with every puff. The Healthy Electronic Cigarette is mainly made of a liquid nicotine cartridge and an atomizing core with built-in battery. When you inhale, the atomizing unit vaporizes the liquid nicotine and delivers it as deliciously smoke to your lips. The result is a real smoking experience, a real smoking flavor and real smoking enjoyment without the unhealthy tar. Where this new 3rd gen eGo-V tank system shines in how it better delivers the liquid nicotine to the atomizer, providing a richer vapor and grater taste. 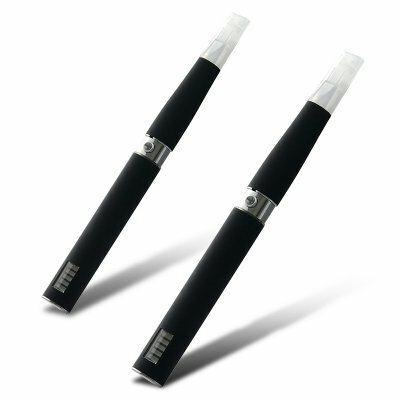 The eGo-V system also maximizes the vapor production and offers up to 5 times as many puffs as traditional e-cigarettes. This system even allows you to control the amount of vapor released per inhalation using the convenient the LED color display, choosing between low, medium and high. This amazing healthy smoking alternative is in stock now and ready for immediate shipment. Place your bulk orders right away because this new e-cigarette is guaranteed to be popular amongst smokers. Brought to you by the leader in online wholesale gadgets, ChinaVasion. E-cigarette orders will be shipped exclusively by Air Mail and will be delivered separately from any other Chinavasion orders. If you choose courier service in checkout interface, we will change the shipping method to Air Mail and credit you the shipping balance.